CAN YOU NAME EVERY PLAYER TO HAVE SCORED IN THE KNOCKOUT ROUND OF THE 2017/18 CHAMPIONS LEAGUE? The Champions League is without a doubt the biggest club competition in intercontinental football and it's a trophy that every club aspires to win. Only the biggest and best clubs from around Europe get to compete in it and it brings up some hugely entertaining clashes between some heavyweights of the game. Last season was another year to remember as Real Madrid wrote even more history by lifting their 13th title and third in as many seasons - becoming the first side in the competitions history to do so. They defeated Jurgen Klopp's Liverpool in the final who surprised a lot of people to make it all the way to Kiev. It was an entertaining final which was overshadowed by the early injury to the Reds star man Mohamed Salah - a blow that they never really recovered from. 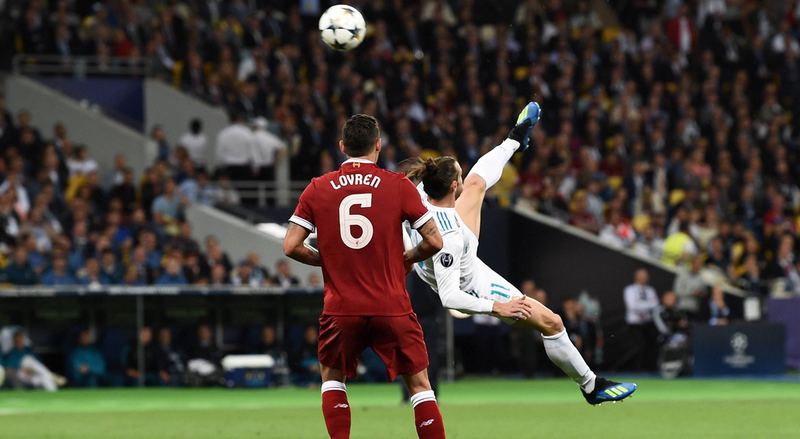 Los Blancos ended up rolling out 3-1 winners in Ukraine courtesy of goals from Karim Benzema and Gareth Bale, helped by some calamitous goalkeeping by Liverpool's Loris Karius. This years edition of the CL is set to to begin so we've put together a quiz to really get you in the mood for it. We want to see if you can name EVERY player to score in the knockout rounds of last seasons Champions League! There’s 80 answers in total and it really isn’t easy – so give it your best shot and tweet your scores into us @FootyAccums!